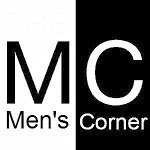 The motto season is getting closer, and the team from Rough Crafts made sure to give us even more difficult to fall by the fact that we will have to wait a little warmer weather, weekend driving and riding a motorcycle. 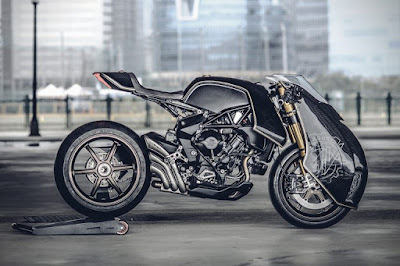 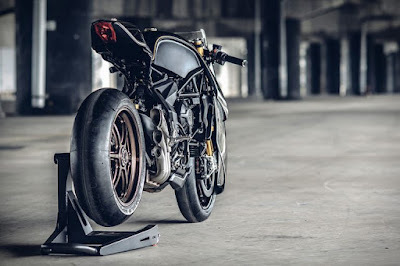 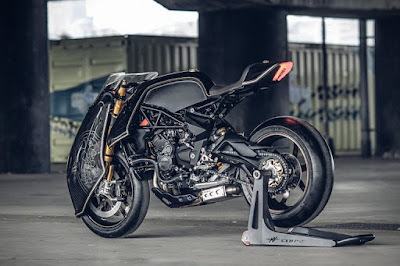 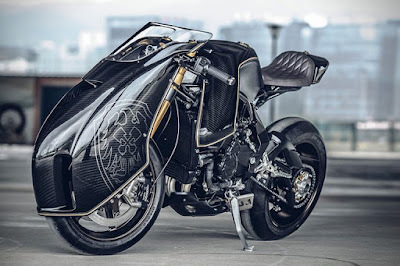 For all the wrong brutally good creations Taiwanese team from Rough crafts that carried out somewhat unusual things as a blank canvas in this case used the MV Agusta "brutale" 800 RR. 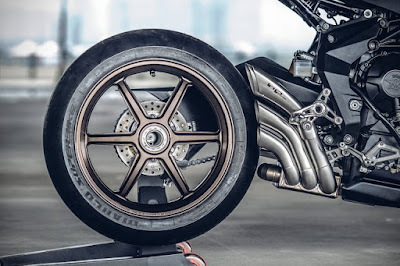 Although in this case is almost unrecognizable, Brutale makes excellent basis for road beast where you will definitely be noticed. 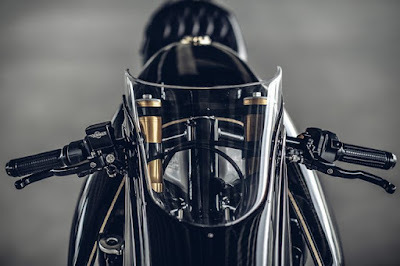 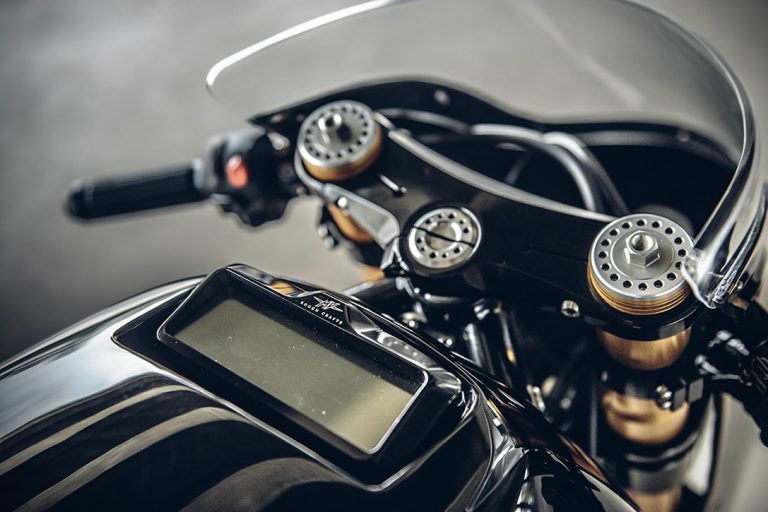 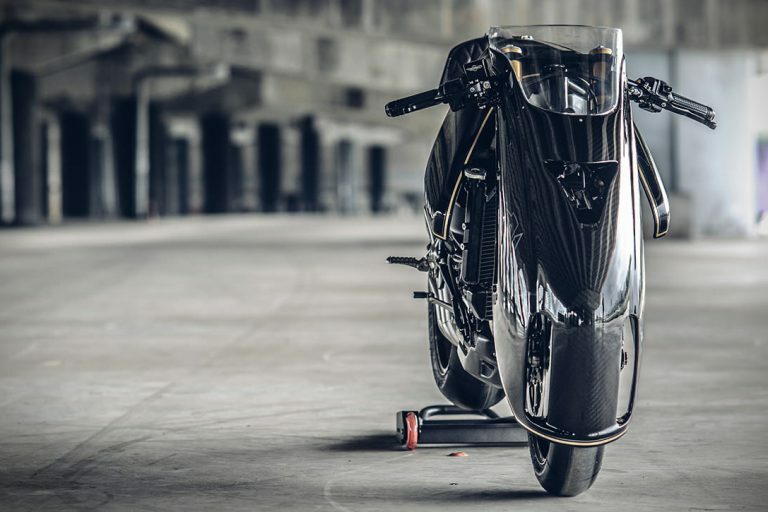 Most extravagant part of the motorcycle's front panel is fully implemented in the carbon, which although looks futuristic, pays homage to the old GP motorcycle models and provides a unique stamp. 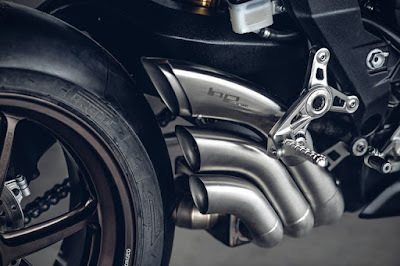 Carbon fibers can be seen in other parts of the motorcycle, beside "armor", the team from Rough crafts designed and excellent 17 inch wheels, especially on the back of mono fork MV Agusta. In addition there is a "golden" Ohlins FGR fork, as well as custom manufactured calipers. The bike has a three-cylinder engine whose 140 horses will be enough for a lot of fun and the occasional adrenaline rush.